Mortal Kombat 9 chooses to reward its fans by giving away free Klassic Skins with the release of a new DLC character, they already gave away Klassic Kitana and Jade, Klassic Sektor and Cyrax, Classic Smoke and Noob Saibot while the pattern is always the same one would wonder what the next Free Klassic Costume could be? My personal speculation was Skorpion and Sub-Zero but I was close, this time Netherrelam studios has decided to release Klassic Sub-Zero and Klassic Cyber Sub-Zero costumes while the DLC release of Freddy Krueger, the (could be?) last Mortal Kombat 9 DLC character nears on August 9th. 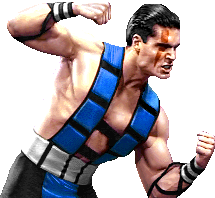 While the Klassic Costume for Sub-Zero is understandable I am really confused on the look of a Klassic Cyber Sub-Zero costume seeing how he is a brand new Character to the series making his debut appearance in Mortal Kombat 9? As always the Klassic Costume come with the respective characters Klassic fatalities from the Klassic games but this makes me wonder as to what Cyber Sub-Zeros Klassic Fatality will be? Sub-Zeros fatality should be obvious to those who played the first Mortal Kombat games but for Cyber Sub-Zero they would definitely have to work out something new. The DLC costumes will available for free download on the same release date as Freddy Krueger on the PSN / XBL marketplace , just go to your regional stores and download the skins for free and enjoy the Klassic gaming along with the other costume packs you may have collected along the way.